Most work is hands on while some is demonstrational. 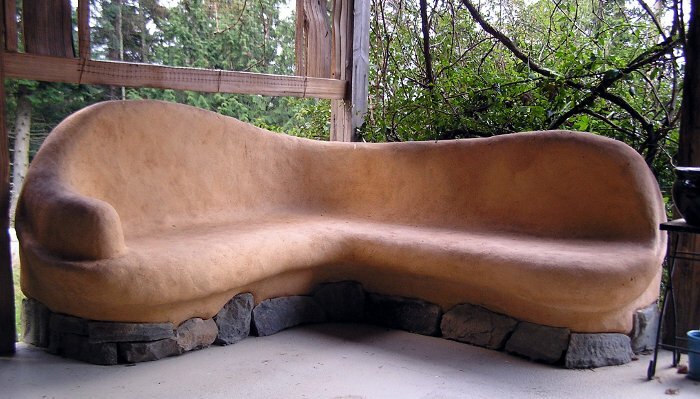 This is the first Natural Building on Our Site. We will offer accomadations as a group at Hagan Stone Park only 7 minutes away. Workshop Includes A Vegan or Vegetarian Lunch each day of the workshop. Participants will help prepare and serve their own lunches as a team. If you have special dietary needs you will need to bring your own food. Also all participants should bring a water bottle to the site in order to stay hydrated. We are willing to offer work trade to a dedicated and reliable cook. Please Read all of the information carefully and let us know if you have any questions in advance. All tuition is tax deductible and non refundable. We operate under the 501c3 of the non profit Volunteer In Your Community Est. 2008 Your tuition is immediatley used towards the programs run by the non profit to end hunger and homelessness in the local community of Greensboro North Carolina. Our classes are fully natural meaning that we do not use heavy machines. 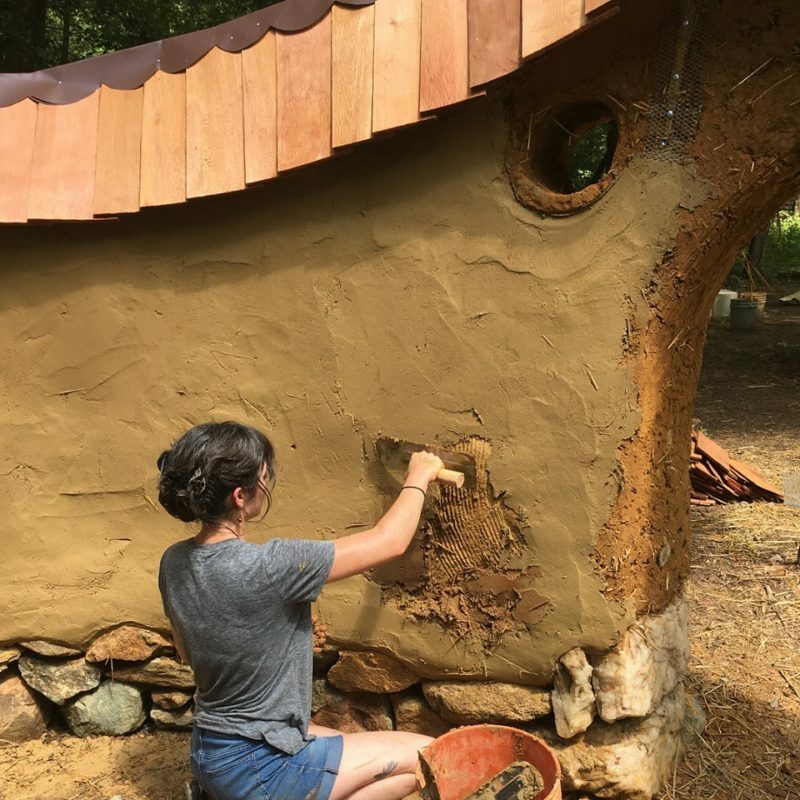 Our holistic classes are designed to connect our participants to the earth and the primitive styles of natural building. We are a gentle class that flows with the group and encourages a concensus among the particapants. We like to start our days with a positive reflection and deep breathing exercises that encourage community and togetherness. You will also get a workbook and guideline for the class and the option to be added to a virtual classroom in advance of the hands on workshop. We look forward to having you join our class and space is limited to 9 students on a first come first serve basis. 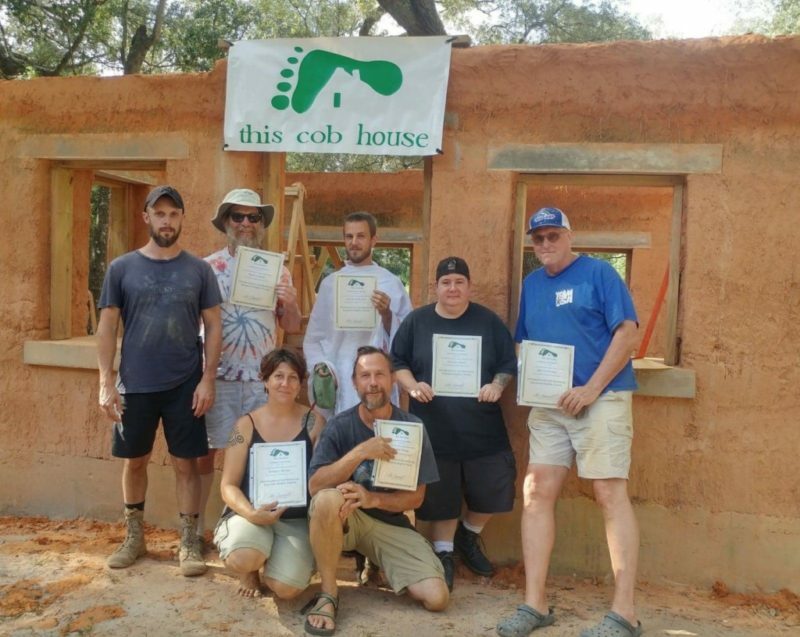 Our students are people passionate about community and primitive building styles without the use of heavy equipment or machinery.